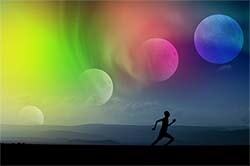 It is known that we can see our Moon in different shapes, forms, sizes and even colors. A lot depends on upon its phases and multiple happenings in the space. This April, we will investigate the so-called Pink Mood from all possible sides. It will be the smallest Full Moon of the entire year because it will be in the furthers point in regard to the Earth. This happens each April. 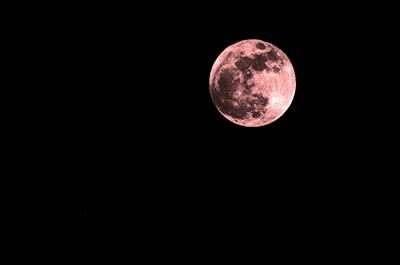 The rise of the Pink Moon is something special and is conventionally associated with the first flowers of spring. Nonetheless, the colors of this heavenly do not actually alter. It is simply referred to the awakening of nature. The Blue Moon has its own associations, as well as many other hues of the Moon. It seems to be changeable as human mood. 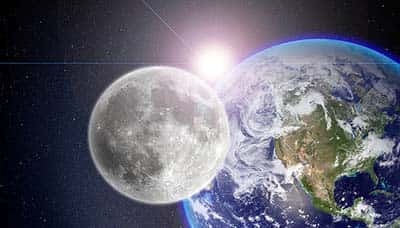 Oftentimes, all these changes and associations of the Moon have a connection with the beliefs and religion of various Native American tribes. It meant for them changes of the seasons. There were no common Julian or Gregorian systems among our ancestors. The tracking of time was made by the observations of the seasons and lunar months. Those observations included different details, big and small. They had great meaning. Some tribes had 4 seasons and the start of each season could begin from quite different months. Other tribes had 5 seasons and they had their own beginning and end. In addition, some had 12 Moons, while the others had even 13 of them. Some tribes added to their calendars an additional Mood for definite years. This synchronized all the seasons when the time came. Each Mood had its own peculiarities. Each name concluded within some distinct details that belonged to only one of the Moons. We all are used to 12 names. However, some tribes used 7 or only 5 names. Additionally, the names of the Moons could be also changed in the upcoming years. Definite numbers of years, 5, 10 or 12 had their own names, which were changed when the next cycle came. Everything depended on the tribe and its customs and beliefs. Even location of the tribe influenced the meanings and names of the Moon.